Made of plastic ABS with anodized aluminium bracket and brass base. 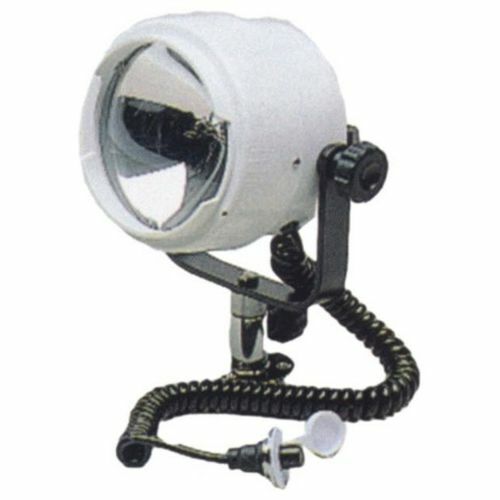 Can be used as portable hand held light. Revolving 360˚. With coil wire and switch with waterproof rubber cup. 12 VOLT - 100 WATT. Spare lamp code 1289-1.